Following the completion of the second Five Year Community Futures Plan for Mulranny, a new Steering Committee was established at a recent meeting. Representatives from all of the community groups were invited to attend this meeting and to become members of the new steering committee and new officers were elected. The role of the new Committee will be to drive this new Action Plan for Mulranny by assisting and supporting all of the community groups. This plan is a result of an extensive community profile and engagement process which included a Youth and Business Survey. All information gathered was taken into account when setting out the new priorities for the Plan. At the meeting outgoing chairman Michael Hughes outlined the many projects that came to fruition in the past 6 years and congratulated all of the community groups and the steering committee for their role in these achievements. He thanked Mayo County Council for the help and guidance they provided to produce the new Action Plan and he also thanked them, along with our TDs and local Councillors, for their great support over the past 6 years and for their continued commitment to Mulranny into the future. Stating that many of the priorities set out at the start of the Futures Process have been realised, he noted, that there were other priorities that proved more difficult to achieve, one example being a Community Playground. Mr. Hughes wished the new committee luck and handed the chair over to the newly elected Chairman Mr. Pat Moran. Other committee officers were elected as follows:- Sean Carolan, Vice Chairman, Nuala Ginnelly, Secretary; Carol Loftus, Asst. Secretary; Thomas Hanley, PRO; Saskia Eland, Treasurer and Michael Hughes, Liaison Officer. Pat Moran thanked Michael Hughes for his dedication and hard work over the last 6 years and acknowledged the great work all of the community groups carry out. He stated that the Steering Committee will work positively together to ensure that all Community Groups are fully supported and facilitated in their endeavours to carry out the Community Futures Action Plan and they will continue to be a communications and guiding group within the community. 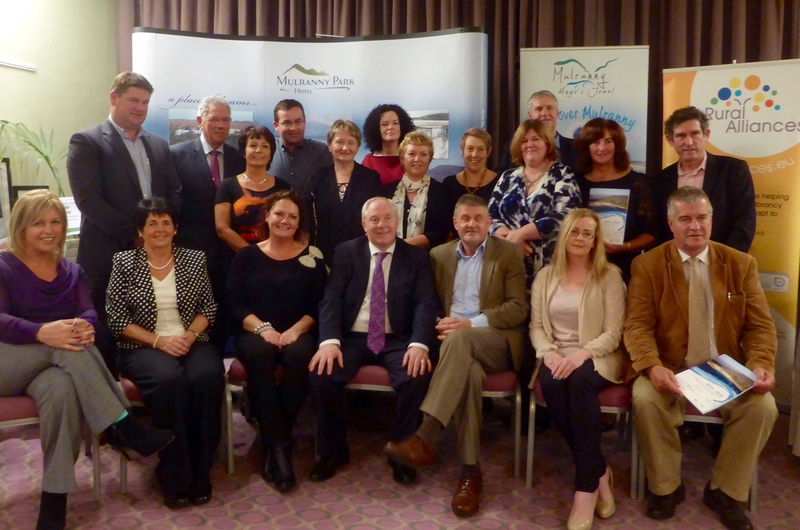 On Friday, 31st October last Michael Ring, Minister of State at the Department of Transport, Tourism & Sport launched a “Sustainable Tourism Action Plan” for Mulranny. The Launch took place in The Mulranny Park Hotel and was attended by community members, local tourism services providers and local County Councillors. The Plan was devised with the assistance of Peter Krahenbuhl, a Sustainable Travel Consultant, through an inclusive participatory process. This involved consultation with local relevant stakeholders, including Mulranny Communities Futures Steering Committee, Tourism Committee and Mulranny’s local tourism related businesses. 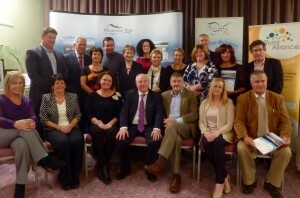 The process was supported through the Mayo Rural Alliances Programme in conjunction with Mayo County Council. On the night Michael Hughes, Chairperson of Mulranny Community Futures, said that the plan is intended as a tool to help Mulranny more effectively support a sustainable, vibrant, and interconnected tourism base that complements its existing local economy. He thanked everybody involved in creating the plan, including Mayo County Council who had invited Mulranny to participate in the Rural Alliance Programme, an EU funded programme which aims to support and develop rural communities. Mary Wrafter from Mayo County Council congratulated the Mulranny Community for creating a targeted working document with clear quantifiable goals and action items that will enable Mulranny to work with its primary stakeholders in order to best support and benefit from tourism in the future. Peter Krahenbuhl stated that Mulranny has an enviable opportunity to implement this plan by allocating its human, natural and marketing resources in innovative ways. 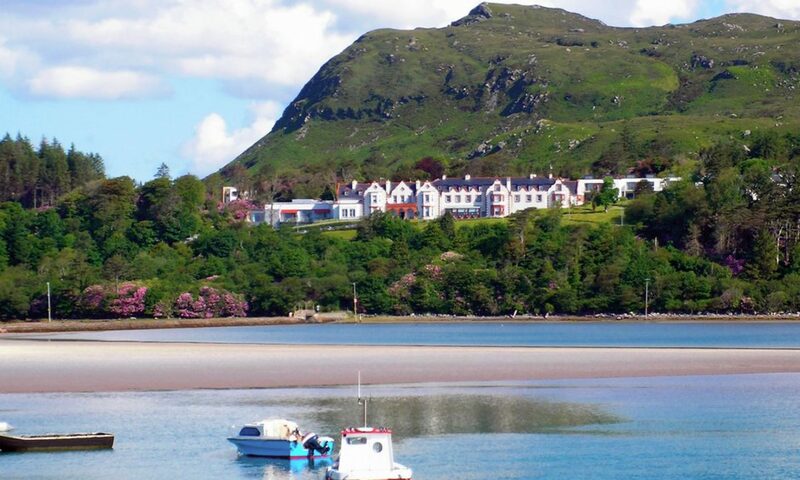 He believes that Mulranny is in a unique position to take advantage of its incredible natural, cultural and historic assets, in particular the beauty of Clew Bay, The Great Western Greenway, its proximity to Westport and Achill Island and its enviable position on The Wild Atlantic Way. He went on to state that years of groundwork has enabled Mulranny to be in this great position and encouraged the community to continue to work together to seize the great opportunities that lie ahead. The development of Marine Access was identified on the list of actions within the Plan as the number one priority for the Community. Minister Ring acknowledged that Pier and Marine Development would open up new markets and opportunities for Mulranny with associated recreational activities. He also recognised and thanked the huge volunteerism ethos throughout the country as well as in Mulranny where he said it was very evident contributing to the great strides that Mulranny has taken over the last number of years. Another priority identified within this action plan is the upgrading of existing and development of new Walking and Cycling Trails – namely, ‘The Mulranny Way’ and ‘ The Grainne Uaile Trail’. These Trail and Marine Development proposals have been submitted by Mulranny Tourism Group to Mayo County Council to be included in the Council’s Tourism Strategy.